The African American Environmentalist Association (AAEA) established a partnership with the Greater Union Baptist Church (GUBC) to operate an environmental tour called the “Compton To Catalina Program,” which will take students and other young people from Compton, California to Catalina Island. AAEA and the California Center for Economic Initiatives (CCFEI) are also partnering under the Compton To Catalina Program to expose Compton youth to boat repair and to provide technical training services. AAEA will be initiating its Compton-To-Catalina Program on Saturday, April 21, 2012, which is the day before Earth Day. 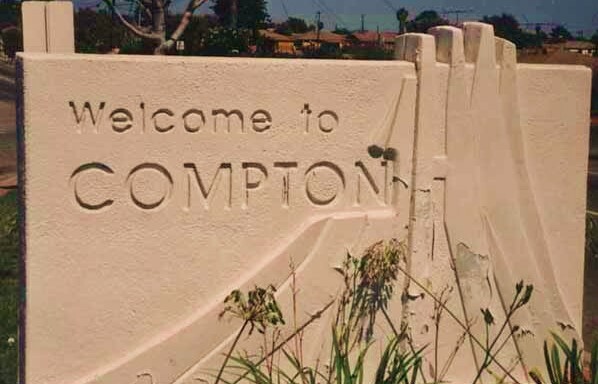 The program will begin with a press conference at the Greater Union Baptist Church in Compton, California. 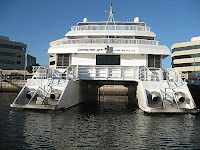 Participants will then travel to Long Beach, California to board the Catalina Express to make the one hour trip to the island. 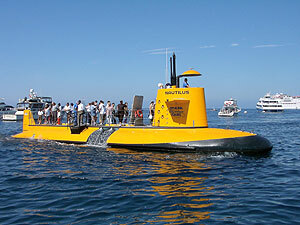 Once on Santa Catalina Island, the participants will board the Nautilus to observe underwater life around the island. Finally, participants will tour Southern California Edison's Pebbly Beach Generating Station, the island's primary electricity generation source. GUBC will recruit people to participate in the Compton To Catalina (CTC) Program. AAEA will make arrangements for the tours and facilitate educational experiences for the students. 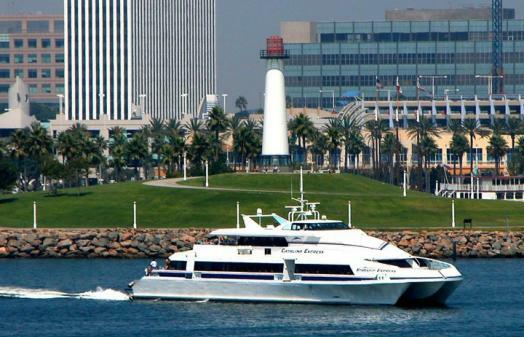 Each tour will be a daylong affair that will include transportation to Long Beach, where the tours will originate. Participants will have escorts at all times and activities on the island will be arranged to maximize the environmental experience. 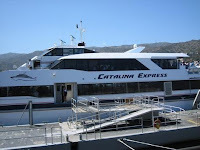 We will utilize the services of Catalina Express. Passengers on board Catalina Express can expect to arrive in Catalina in about an hour from Long Beach. 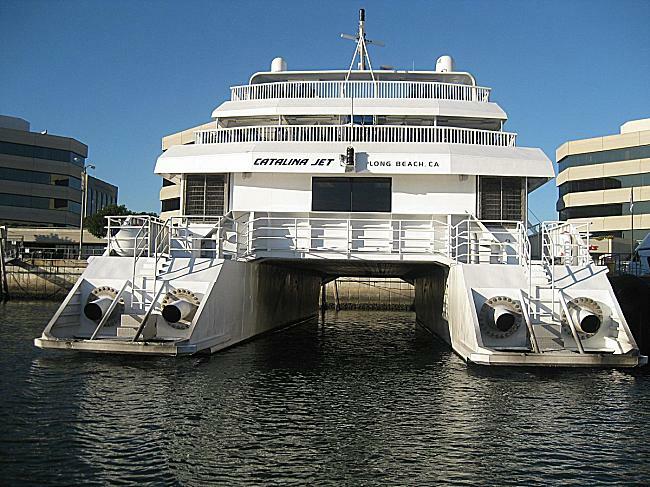 There are numerous activities available on Catalina Island, including: hiking, biking, camping, swimming, snorkeling, diving, sightseeing, dining, shopping or relaxing, to name a few. 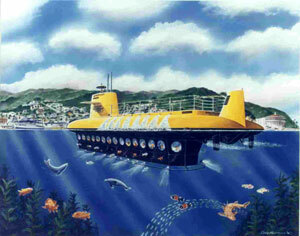 Our main activity will be a Nautilus submarine ride to view submerged vegetation and fish species. AAEA, GUBC and CCFEI are providing important environmental and technical services to the youth of Compton, California. This partnership will provide a rich environmental experience for participants. We will engage as many churches, schools and other institutions as possible and we will also appeal to the greater Los Angeles community to support the program. The Christian-green movement has at its core the “Evangelical Climate Initiative,” a 2006 document that has now been signed by more than 200 prominent pastors and other religious leaders. It asserts that “human-induced climate change is real,” and calls on evangelicals to use more renewable energy and buy hybrid vehicles. Over the past several years, the cause has evolved from the objective of starting a conversation to targeting specific industries or practices. Christian environmentalists have also taken aim at proposed oil drilling in the Arctic National Wildlife Refuge, among other things. The movement bases its philosophy on the biblical ideas that Christians should never damage God’s world, and an admonition from Jesus to “protect and care for the least of these,” which the Climate Initiative says is a call to shield the poor, elderly and sick from the dangers of pollution. The divide among Christians has centered on the creation accounts in Genesis. In the first chapter, God says on the sixth day, depending on the translation, that man will have “dominion” or will “reign over” the natural world. In the second, God creates the world and gives Adam naming power over its creatures. 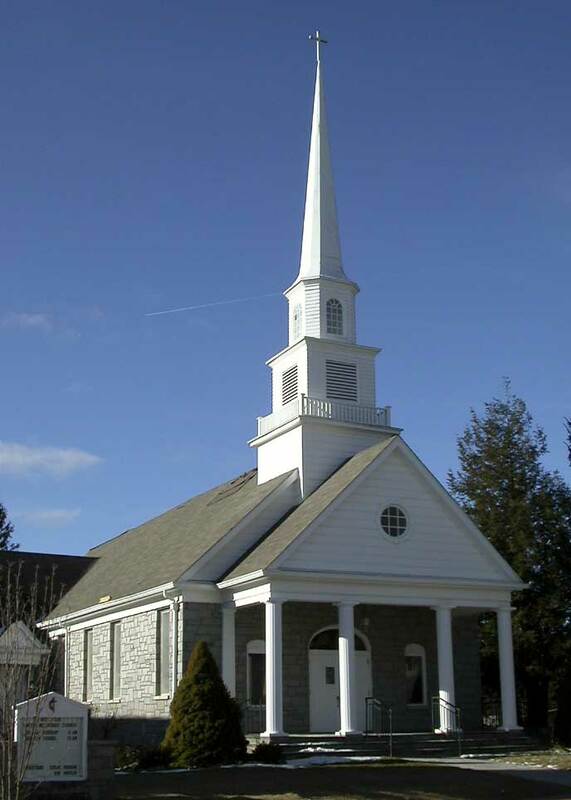 Some Christian churches are taking a different tack on what “dominion” means. “It’s transitioning from a ‘God gave man dominion over the earth’ translation of the scriptures to a ‘God gave man responsibility over the Earth’ translation. AAEA presented a statement on Tuesday before the New York Department of Environmental Conservation at a hearing at the New York Department of Public Service addressing the proposed Article 10 environmental justice regulations. We commend the New York State Legislature for passing a new Article 10 law. We thank Governor Andrew Cuomo for signing the legislation into law. We commend the New York State Department of Public Service for promulgating Article 10 regulations. We commend the New York State Department of Environmental Conservation (DEC) and the Office of Environmental Justice (EJ) for promulgating the Article 10 environmental justice regulations. AAEA recommends that the New York State Department of Environmental Conservation (DEC) should replace the one-half mile radius designated in the proposed regulation as the Impact Study Area to be two (2) miles. Section 487.4: Defining the Impact Study Area, should be modified to state that: (a) At a minimum, the Impact Study Area must be the geographic area that is encompassed within a two mile radius around the proposed location of the facility. We believe the one-half mile area is too small and will limit the effectiveness of the environmental justice analysis. The expanded impact area designation is needed in order to include more facilities in the assessment of whether an area suffers from disproportionate environmental impacts. Although the applicant is given the option of increasing the Impact Study Area based on site-specific factors, we believe the regulation should specifically refer to the two mile radius. We also recommend the two mile designation for the alternate locations. The Article 10 law allows for, 'A cumulative impact analysis of air quality within a half-mile of the facility, or other radius as determined by standards established by Department of Environmental Conservation regulations..."
We are concerned that ozone is not included as part of the cumulative air impact analysis. Although the other five criteria pollutants are included, ozone is probably the most important pollutant in terms of health impacts as related to environmental justice. The proposed regulation states that, "The procedures identified in 6 NYCRR Part 231 for assessing ozone precursor emissions will satisfy the requirement of this section for the cumulative impact analysis." We disagree. We understand that the procedure is fine within the context of evaluation under the federal New Source Review Program, but it does not include a framework for considering environmental justice. Thus, by separating out this important pollutant, it could undermine the effectiveness of the cumulative impact analysis. Because ozone is excluded in the Article 10 law, we would suggest that the applicant utilize the ozone precursors of volatile organic compounds and oxides of nitrogen to assess equivalent effects. 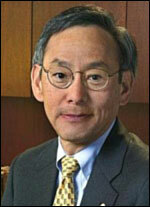 Steven Chu To Help Kill Grassroots EJ Conference? It appears that Secretary of the U.S. Department of Energy (DOE) Steven Chu is going to lend his office, money and authority to replace an environmental justice conference that has been successfully implemented for the past five years. Incredibly, Secretary Chu never participated in the grassroots-organized conference, but now that a DOE employee has decided to replace the original grassroots conference with a federal government sponsored conference, the secretary is advertised as speaking at the department conference. Does Secretary Chu really believe this is the best use of government money? Does he think this is the best way to create jobs in the private sector? It is unconscionable that a multibillion-dollar federal agency would use its power to crush a multi-thousand dollar, grassroots-organized conference. Click here for specifics on the situation. This federal government coup d'etat includes everything from cooping sponsors to even tapping into the speakers list from the original conference. 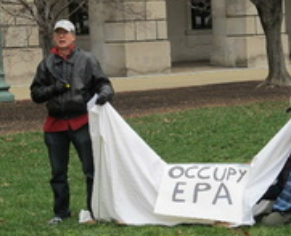 The DOE-sponsored conference initially tried to advertise itself as the 6th Annual Conference until there were complaints. 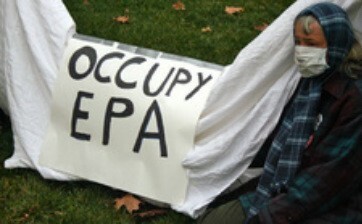 Frankly, we have never seen a more blatant abuse of power in the history of the environmental justice movement. It is this sort of activity that has led Occupy Wall Street to challenge abuse of power. The federal conference is scheduled a week after the original grassroots conference. This is not an effort at a legitimate supplement to the environmental justice dialogue, it is a blatant effort to destroy the grassroots conference. If Secretary Chu has no more sensitivity than to be a party to this injustice, he should consider resigning. The grassroots conference might survive this year in the face of this significant and unfair competitor, but it surely cannot last going forward if the U.S. DOE is intent upon replacing it. Again, it is a sad day for the Obama administration when one of its cabinet members supports the replacement of a very successful grassroots conference just because one department employee chose to part ways with the original grassroots conference coordinator. It is enough to make one cynical. Unlimited Energy Solar Solutions (UESS) is a 27 year old full-service installation and consulting firm specializing in solar integration systems for commercial, residential, municipal and agricultural customers. UESS serves the western US energy markets from Texas to Hawaii. Currently, about 35% of their business services the residential market, with 15 % representing agricultural, 20% municipal and 30% representing commercial class plant construction. Unlimited Energy Solar Solutions, Inc is owned & operated by Ms. Vernice Creese, right, who is the President & CEO. UESS has installed over 20 million watts, with over 5000 projects completed from the time of our inception. 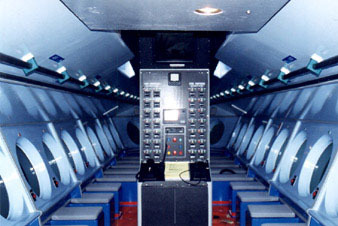 All key personnel are factory certified by every major equipment manufacturer we represent. We specialize in the design, sales and installation of solar equipment and systems for residential, commercial, municipal customers. UESS, Inc. operates under California State License #957378 with multiple certifications; C-46 Solar and B-General Contractor. Certifications: Women Minority Business Enterprise (WMBE), Small Business Enterprise (SBE) and Section 3 Certification.